Monthly round up for July 19th! Wow, so these are getting more and more widely spaced, huh? 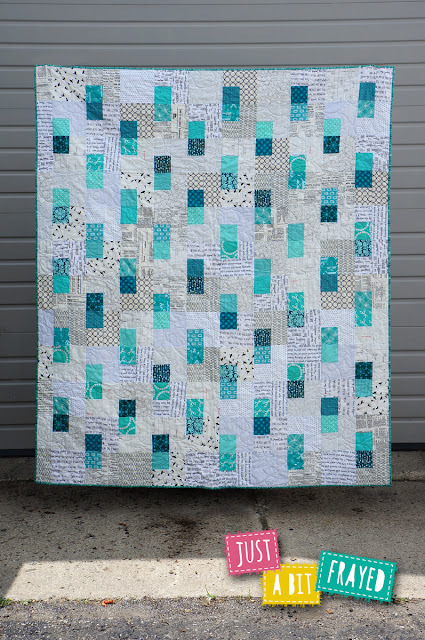 Oh, so how cute is Karen's pie mini quilt using Hayley C.'s Pie in the Sky quilt pattern!!!! 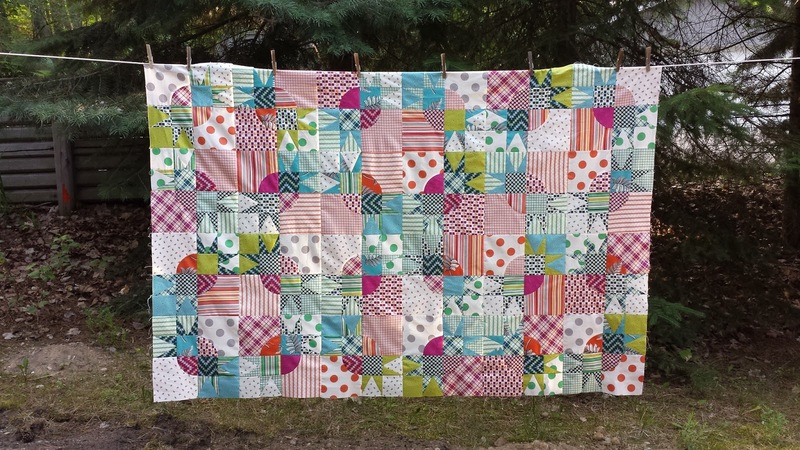 Karen also finished a top using Red Pepper Quilts's pickle dish variation tutorial and the new Denyse Schmidt line. She has misgivings, but I think it's awesome looking! I think it may be the year of rainbow quilts! She also performed an interesting experiment about straightline quilting. Love that cool color palette! Brenda was also a guest on the Modern Sewciety Podcast episode #69. And you should all check that out! 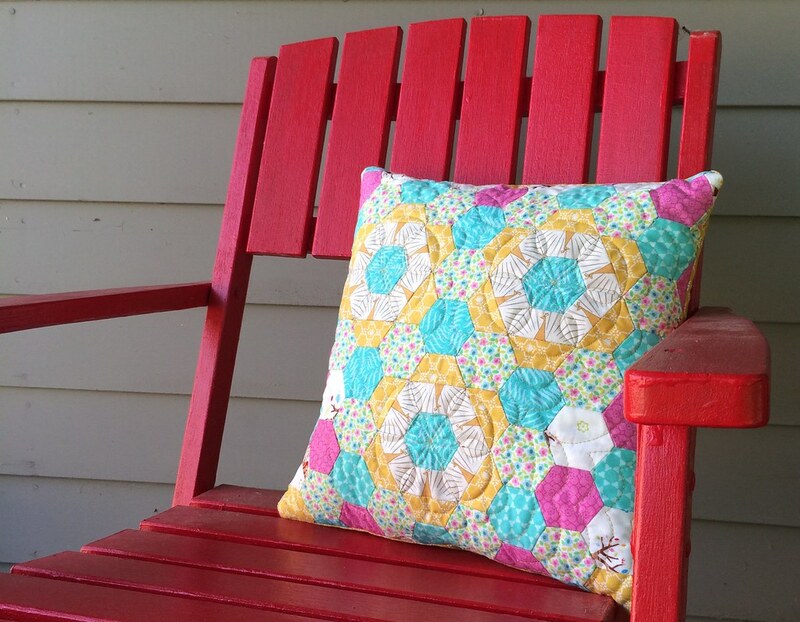 Kathy also has posted a refresher on machine binding quilts. 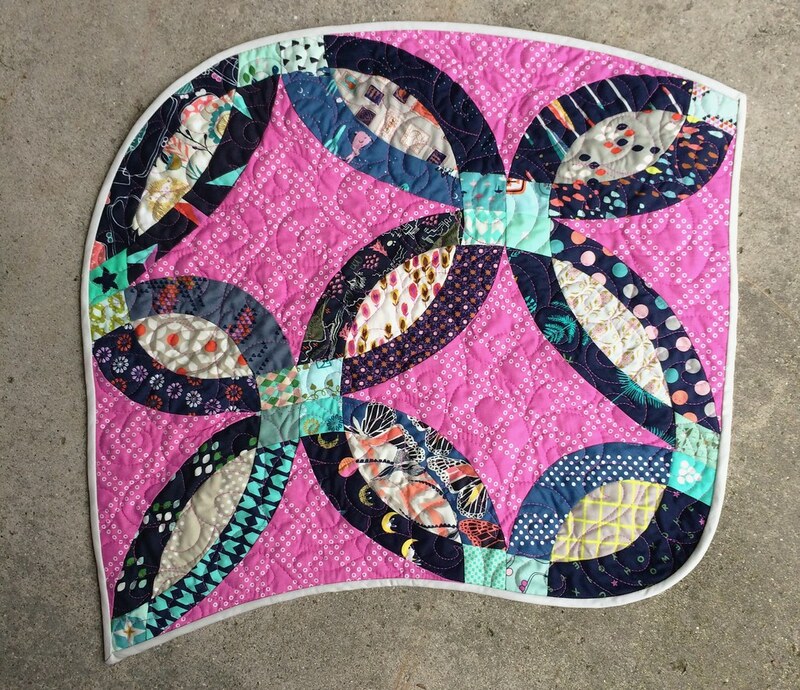 Actually, Kathy, being our most prolific blogger always has tons of interesting stuff, and I have to skim, but I love this quilt and here's a series on improv, parts 1, 2, and 3. But really, you should just read her blog. And that's all from me! Happy sewing! Our retreat will be held July 30th-August 2nd this year. We need 20 people to make it happen. If you're interested, contact Debbie, Ginia, or Jen as soon as possible. See your email for pricing information. 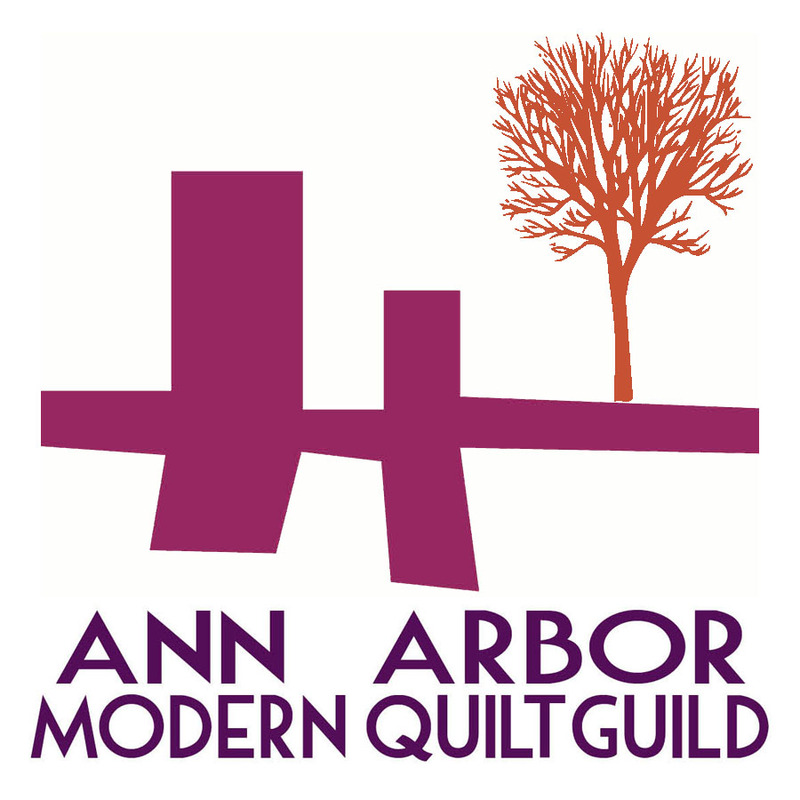 Ann Dilcher is coordinating one quilt. Check the facebook group for updates on that quilt. 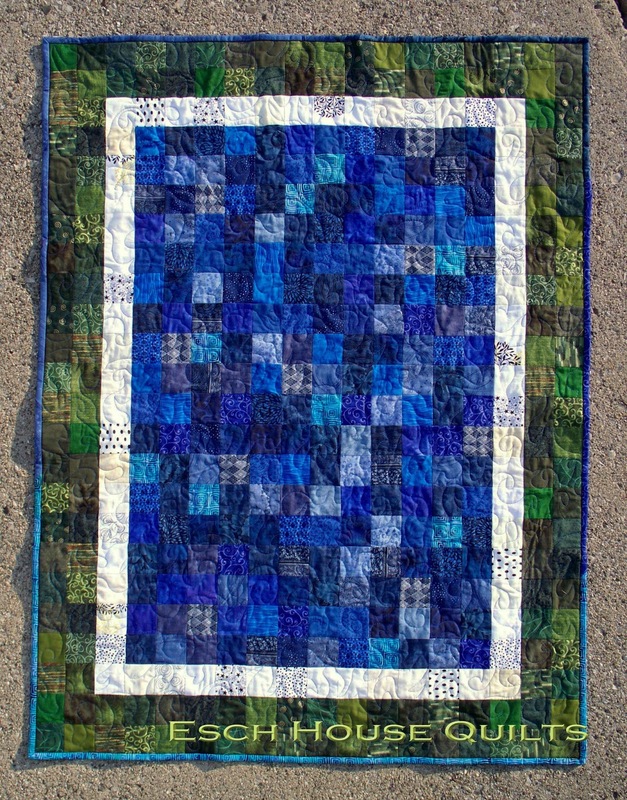 If you'd like to start the second quilt, feel free to post about it or come up with a general idea and we can discuss it online or at the next meeting. For the charity quilts for QuiltCon, check out their web page. They have the general rules as well as color palette for this year's charity quilt. They also list different solids that match their color palette. Pam Lincoln has been bringing more quilt kits to the meetings to use when you make charity quilts! Check out the special charity tab on our blog for more information and inspiration. Kathy brought some excellent books to the meeting. Baby Patchwork included many baby-sized quilt patterns with some applique patterns. Lap Quilting with Georgia Bonisteel contained many traditional patterns that could easily be made modern. This month, we got to see quilts made by Pam Lincoln. 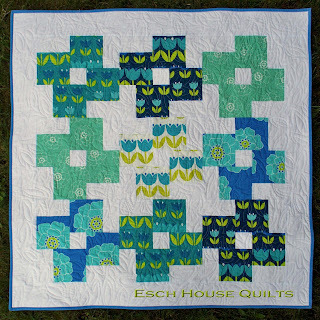 Next month, we'll see quilts made by Kathy Koch. 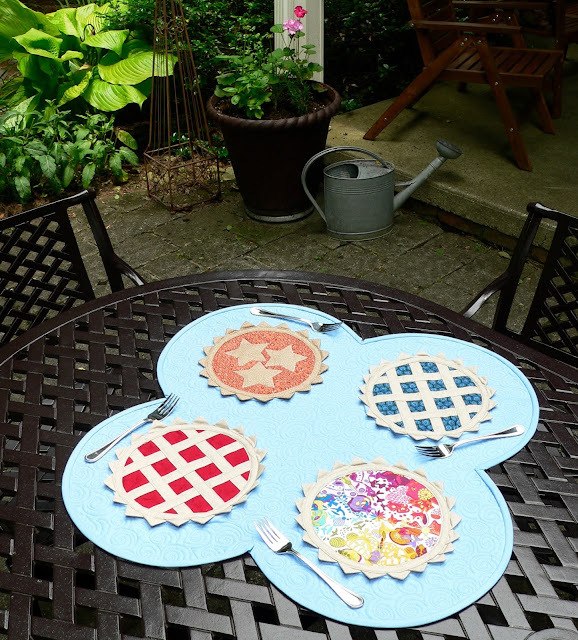 Amy Diebold did a wonderful job demonstrating English Paper Piecing with hexagons. It was a fun, hands on skill school and someone went home with all the hexagons we practiced on! We had the cutest tiny-themed swap at this meeting. There were tea bag cozies, hot pads, pouches, and a whole bunch of adorably small patchwork-based things! We ended the meeting with the usual show and share. Next month we will be having the Pie Making Day challenge! Bring your finished PMD projects! There will be prizes for the crowd favorite.